Two bedroom sunny apartment, well presented, ground level, with plenty of parking. Apartment features a full kitchen, with dishwasher and microwave. There is a laundry with outside clothesline. Expansive bathroom with separate shower and spa bath. Large walk in wardrobe. Wifi available. Smart TV with Freeview. Outside patio area, where the long evenings can be enjoyed. Access to a BBQ is available. A first class property in a great location (10 minute walk with wonderful views along the way). Spacious 2 bedroom accommodation, with everything you could possibly need. What a wonderful experience. Gorgeous accommodation kitted out to a high standard everything you could think of. Beautiful linen and very warm. A five minute taxi ride into town in a quiet area. Definitely want to come back again. Thank you Angela. Very clean, modern, spacious in great location above town. Friendly, informative host. 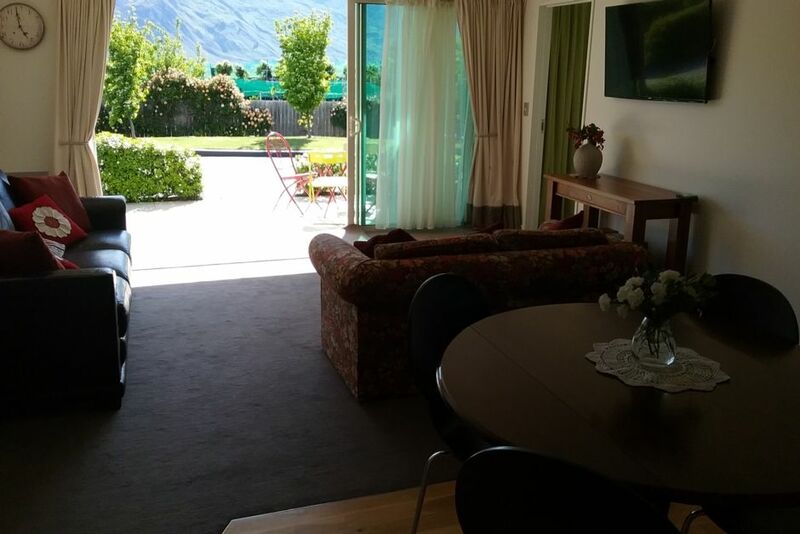 Walking distance to shops and lake. Wonderful location. Lovely welcome note and treat. Beds were comfortable and we both got a good sleep. We will definitely be booking for next year. Beautifully appointed apartment. Loved the space and the view.